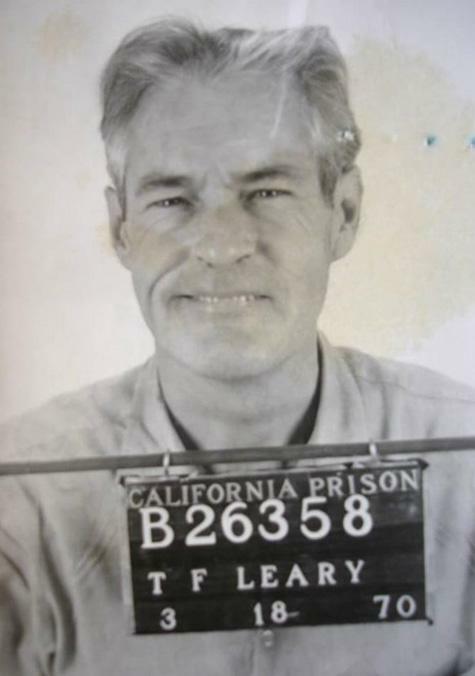 1960s icon Timothy Leary, who advocated using psychedelic drugs for personal growth, posed for the above California Department of Corrections mug shot in March 1970. Leary, 49 at the time, was serving a 10-year sentence for pot possession. After escaping from custody, Leary was captured and locked up again until his release in April 1976.